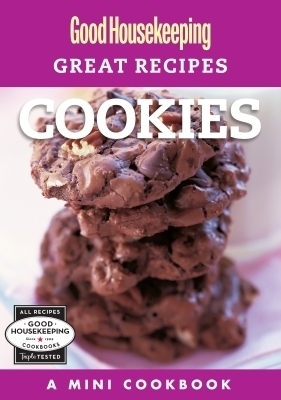 Twenty-one scrumptious cookies…plus the secrets to making them perfectly! Whether fudgy and chewy or crispy and golden, cookies deliver great flavor in just a few luscious bites. No wonder everyone loves them. But your cookie jar won't be well stocked unless it's filled with treats from this tempting collection. These drop cookies are quick to mix up, fun to spoon onto cookie sheets, and a snap to bake. You'll find all-time classics like Chewy Peanut Butter, Chocolate Chip, and Drop Sugar Cookies as well as regional specialties like Mcintosh Oatmeal Cookies, Moravian Spice Crisps, and Almond Tuiles. You won't find more decadent and satisfying treats anywhere; they're the best ever whipped up in the Good Housekeeping Test Kitchen! And all the cookies have been triple-tested for perfection, making this collection even sweeter.